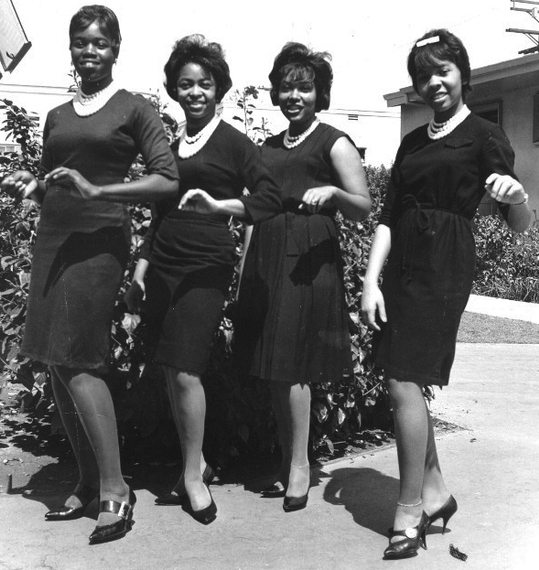 The Sharmettes were a female quartet from L.A. who were still students at Jeff High and who recorded for King Records. They were Margaret Strong, lead, Verline Johnson, soprano, Rosa Holloway, 2nd soprano, and Linda Frazier. They were all members in Jeff’s Acappella Choir. Gene Maye (Arthur Lee Maye's brother) worked with the girls about 6 or 7 months, teaching them songs, and polishing up their harmony. In February of 1962, Johnny Otis was working for King Records as their A&R man. 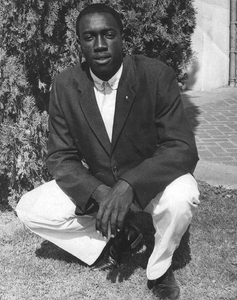 Gaynel Hodge was working with Johnny. They came to Jeff High to have a talent search in the auditorium. So when they heard the girls they loved them. The Sharmettes were the only ones to emerge with a recording contract. So about a month afterwards, they were in the studio recording "Tell Me”, “My Dream”, “I Want to Be Loved”, and “Answer Me My Love”.